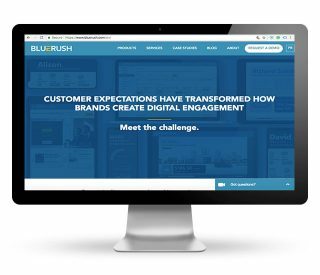 As a software-as-a-service company operating in the competitive financial technology market, BlueRush develops personalized marketing and technology solutions for leading financial brands in North and South America. Their SaaS products, empower brands to create a superior customer experience, leading to richer engagement, and ultimately more revenue. IndiVideo, the interactive personalized video platform, and DigitalReach, the content engagement platform for advisors, are built and managed from, the company’s offices in Toronto and Montreal. BlueRush turned to Pedestal to help fuel the company’s growth within the B2B SaaS marketplace. Pedestal began by developing an SEO strategy, conducting keyword research and an organic SEO audit and opportunity assessment. Pedestal’s customized digital plan for BlueRush Inc. combines ongoing SEO-driven content production, strategy, auditing, content optimization, and Pay-Per-Click campaigns to improve visibility and drive engaged leads to targeted landing pages. Rielle Ullberg – Digital Marketing & Sales Coordinator, BlueRush Inc.